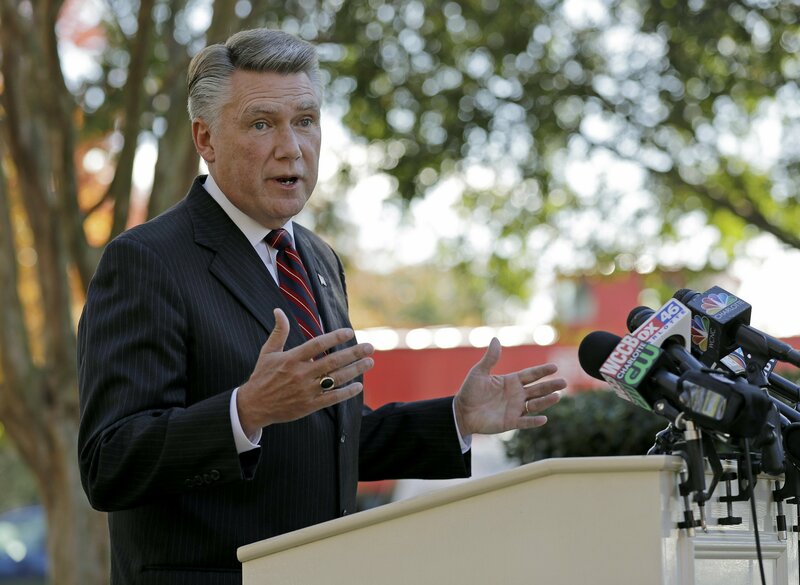 RALEIGH, N.C. — The Republican in the nation’s last undecided congressional race asked a North Carolina court Thursday to require that he be declared the winner because the now-defunct state elections board didn’t act. The elections board was dissolved Dec. 28 by state judges who in October declared its makeup unconstitutional but had allowed investigations to continue. A revamped board doesn’t officially come into existence until Jan. 31. State elections staffers on Wednesday said a planned Jan. 11 evidentiary hearing to outline what investigators have found since November’s election had to be postponed due to the lack of a board authorized to subpoena witnesses and hold hearings. The investigation is continuing, however, with Harris being interviewed for two hours Thursday as all other U.S. House winners were sworn into office in Washington. Harris narrowly led Democrat Dan McCready in unofficial vote counts, but the elections board refused to certify him as the winner amid an unusually large number of unused absentee ballots and a large advantage in absentees favoring the Republican in two of the 9th congressional district’s rural counties. Witnesses signed sworn affidavits alleging that a political operative in rural Bladen County paid by Harris’ campaign collected incomplete and unsealed ballots from voters. It’s illegal for anyone other than a close relative or guardian to take a person’s ballot. Harris is asking a trial-court judge to order North Carolina’s hired elections director to certify the Republican as the winner. Evidence hasn’t surfaced justifying the delay, the lawsuit states. Republicans were silent when the neighboring and Democrat-heavy 12th Congressional district remained vacant for 10 months in 2014. Former Republican Gov. Pat McCrory opted to wait until November of that year to hold the election to fill the seat Mel Watt resigned that January to become director of the Federal Housing Finance Agency. McCrory explained his decision as saving the $1 million that a special election would have cost. The dispute over the elections board makeup stems from legislative moves in late 2016 to undercut the powers of incoming Democratic Gov. Roy Cooper, who had narrowly beaten McCrory weeks earlier. The state elections board makeup was changed so that Cooper wouldn’t appoint most members, as governors had done for a century. Cooper sued, and courts determined the old formula was necessary to allow governors to fulfill their duty to make sure election laws, like other laws, are faithfully executed. The Legislature last week approved a new law authorizing what will become a three-Democrat, two-Republican elections board later this month. But a three-judge panel overseeing the dispute decided the same day that the board the jurists had allowed to stay in business to oversee the Harris case had delayed long enough and scrapped the body last Friday.